DELIVERED ON TIME DOES JUST THAT WHICH I EXPECTED. Excellent battery delivered very quickly to Spain. Well packaged and delivered very quickly, however the item has not been used to date. Battery itself appears to be as described however the packaging must have failed at some point as the battery was in a giant zip-lock bag filled with a liquid which I later found out was battery acid after my skin started itching and the shirt I was wearing developed holes where the liquid came into contact with it. If this is a normal occurrence, maybe a warning about the possibility of injury is warranted. Service from Tayna v. speedy and great to deal with. My recommended battery supplier to my friends. Excellent service from your staff and efficient delivery but surely too soon to know if the product itself is any good. Ordered product 8.30am on Friday, arrived same time next day, well packed. Fitted and put to use straight away and works as expected to power motor mover. Great prices as well. Five star service! A wonderful service from Tanya, from the advice by phone and the speedy delivery to France of the order placed on the internet. Superb and staggering speed of delivery from Tanya. 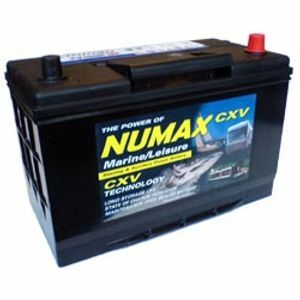 A powerful battery for my tractor at a reasonable price. Thank you. Ed Sharp. 1st class product and service.